Reach your full potential with the Under Armour Baseball Factory Middle School Skills Evaluation & National Tryout. Improve your game immediately and be evaluated by the industry’s top coaches and scouts through the Baseball Factory. The Baseball Factory Middle School Skills Evaluation & National Tryout has been developing America’s talent over the past 24 years. Our proven system shows that players who start sooner experience more success, have more fun on the field, and are able to grow their game to reach their full potential. Our top-notch coaches and positive, encouraging style have helped middle-school athletes turn their dreams of playing baseball in high school, college or beyond, into reality, transforming into varsity starters, all-state athletes and standout college baseball players. Players will take part in an on-field workout where they will perform in front of Baseball Factory scouts who will evaluate them on speed, pitching, hitting, defense, and arm strength, plus a full athletic assessment. The unique combination of an Advanced Athletic Skills Assessment and our Factory Certified Skills evaluation helps give both players and parents the most accurate reading of where their son stands today amongst his peers with 11 comprehensive tests, including: 30 and 60 yard dash, home to first, 5-10-5 shuttle, grip strength, broad jump, throwing and exit velocity. In addition, players are measured in hitting, power, fielding as well as pitching and catching metrics. Players and families will speak with and receive a review of their athletic assessment and skills evaluation with a Baseball Factory Player Development Coordinator within 72 hours of the tryout, providing an evaluation of your on-field effort. Additionally, they will also share their insights on how your game stacks up against those of players from across the country. Allow our 24 years of experience to be a trusted resource for your family. Players who attend a Tryout are eligible to compete on a Baseball Factory National Team or participate in a Baseball Factory National Training Program. 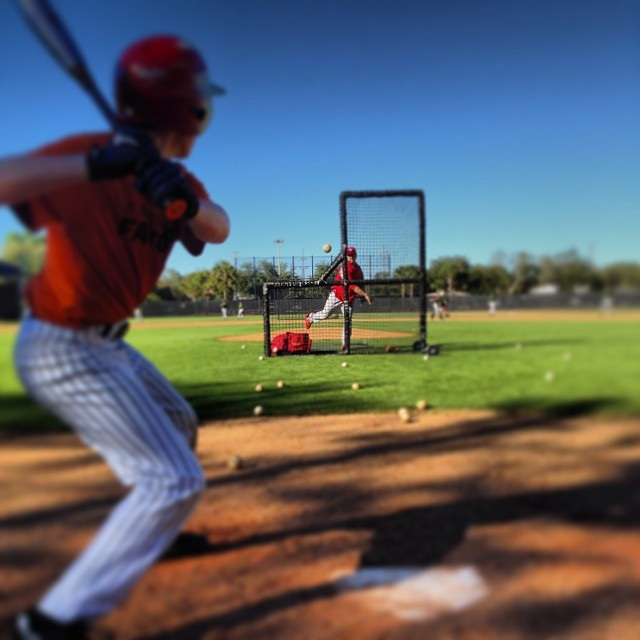 At these life-changing Player Development events at pro facilities such as Pirate City and Vero Beach, players converge from around the country to receive world-class instruction from the best coaches, scouts and former pros in the nation. Every player who attends receives an Under Armour Baseball Factory shirt. Wear yours with pride. Want even more from your skills evaluation experience? Check out our Interactive Video Program, where you receive a professionally edited video, designed to help improve and evolve your game.